The Carolina Panthers promote responsible drinking and positive fan behavior at Bank of America Stadium. The Panthers alcohol management plan ensures that fans have a safe and fun experience. The Carolina Panthers are committed to providing an enjoyable and safe game day experience. Rules of conduct are printed on the back of each ticket. Irresponsible conduct will not be tolerated at Bank of America Stadium. Whether or not certain types of behavior and/or acts are inappropriate or offensive to others may depend on one’s perspectives and values. Stadium Management reserves the right to deem an act or exhibited behavior to be inappropriate and act accordingly. Event Staff Personnel will respond to complaints of misconduct. Patrons who fail to comply with Stadium Policy after being warned will be subject to ejection or arrest. Acts such as fighting, being abusive to others, being intoxicated, throwing objects, or committing other acts that may injure other patrons or disrupt the progress of the game may result in ejection and/or arrest without prior warning. Violations by Permanent Seat License holders or their guests may result in the revocation of the Permanent Seat License and ticket privileges. Fans in need of assistance can text their issue to 704-GET-HELP (704-438-4357). The Carolina Panthers and Anheuser-Busch have teamed up to implement the Bud Light “Good Sport” program as a thank you to fans who volunteer to become a designated driver at Panthers home games. Fans may sign up for the program at booths across from sections 106, 123, and 513. Those who volunteer to be a designated driver have a chance to win Panthers merchandise and other gifts. Winners are announced during the game. Continuing for the 2016 NFL season, the Carolina Panthers are facing off against the Atlanta Falcons and the Tampa Bay Buccaneers in the Bud Light Good Sport Designated Driver Challenge. Panthers fans who pledge to be designated drivers at Bank of America Stadium earn the Panthers a touchdown (6 points) in the Challenge. 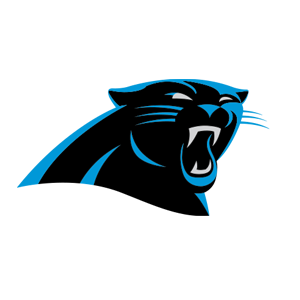 Panthers fans who “Like” the Panthers Designated Driver Challenge Facebook page earn the Panthers an extra point in the Challenge. Please make the pledge to be a responsible Panthers fan and help the Panthers win the Challenge!